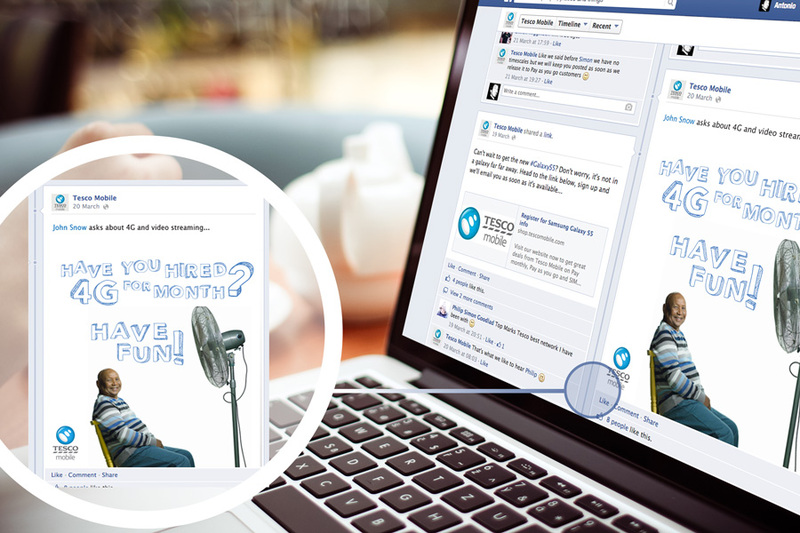 Tesco Mobile offers 4g for only 2,50 pounds more per month. At the same time, clients can activate or deactivative 4G easily from one month to another with no restrictions. Respond on Facebook to client’s questions creating hilarious pictures. Using absurd humour to express literal common expressions and set phrases. 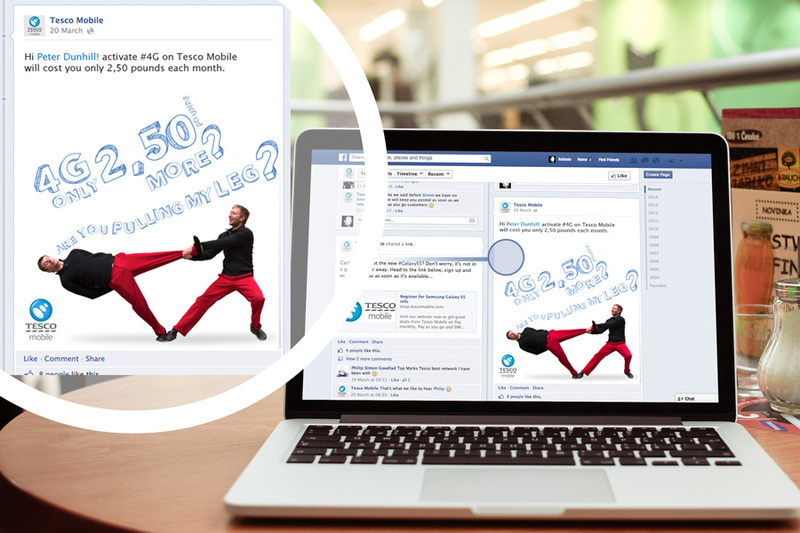 These pictures are used to express the Tesco Mobile 4G´s features.